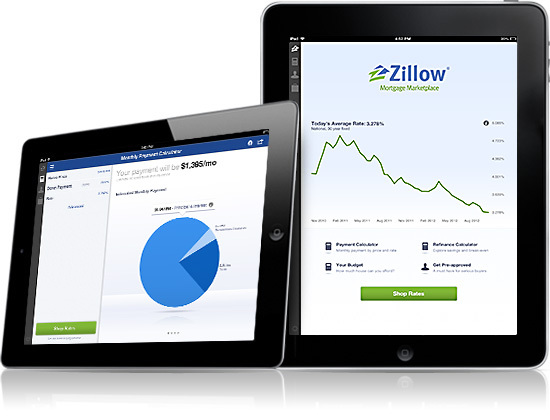 Zillow, a publicly-traded real estate marketplace, just launched its free Mortgage Marketplace App for the iPad. This new application is designed to help home buyers find out what are their mortgage choices and how to find the right loan. With the addition of this app, Zillow now has a total of 15 mobile apps in its portfolio. It claims that it also has the most popular suite of mobile real estate apps that will meet the needs of all home shoppers. Zillow, in case you didn’t know, is a service that helps you find your new home in any location. It brands itself as “your edge in real estate” and looks to be your resource for all your home buying needs. Buyers who download this iPad application will find that there are numerous tools at their disposal in order to help get the right home for them. 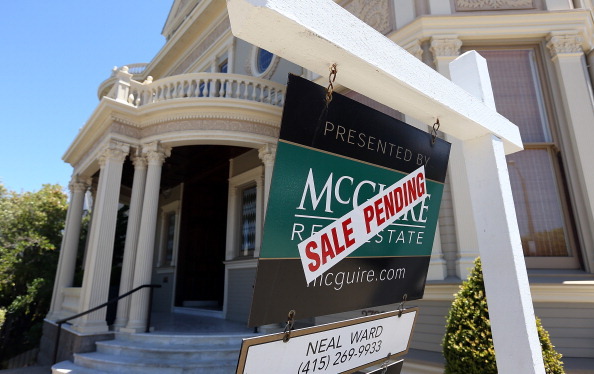 The company says that its Mortgage Marketplace App creates a transparent lending marketplace where borrowers can easily connect with reputable lenders in order to find the right payment plan for both parties. The app combines this loan shopping experience with simple calculators and even animated charts to give the buyer a chance to understand what’s going on and how they can be a part of the process, not idly standing by and wondering what’s going on. What Zillow’s Mortgage Marketplace App will do is utilize what it calls an “intuitive, visual interface” to share with the user how much they can afford to spend on their home, calculate how long it will take to pay off their mortgage, and whether refinancing is advantageous to their situation. Users can easily and anonymously request personalized loan quotes from multiple providers while also reading through over 22,000 customer reviews of lenders in Zillow’s library. Lastly, this iPad application has a “Get Pre-Approved” section that will work with preferred Zillow lenders who have the ability to approve borrowers before any real estate shopping begins. With more than 35 million unique users accessing Zillows mobile apps just last month, this new app could help simplify the home buying process and empower the user to feel at ease with their iPad instead of having to move to a laptop in order to do exactly the same thing that they can do on mobile devices. Zillow’s Mortgage Marketplace app can be downloaded for free from the iTunes App store.